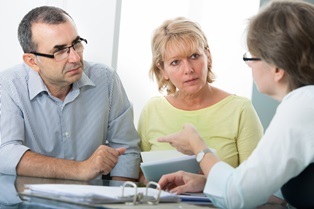 Before a lawyer formally accepts your personal injury case, you will attend an initial consultation. This brief meeting allows him to evaluate the strength of your case before deciding whether to represent you. Since personal injury lawyers generally accept cases on a contingency basis, they do not charge upfront fees for their services. Instead, they accept a percentage of the final settlement as the fee for legal representation. A contingency fee agreement means a lawyer won’t get paid if he can’t negotiate a settlement. Therefore, the lawyer is looking for any red flags that would cast doubt on the validity of your case or the likelihood of obtaining a fair settlement. For example, if too much time has passed since the accident, the statute of limitations may mean there simply isn’t enough time to prepare a solid claim. Can you describe how the accident happened? Did other people witness the accident? What medical treatment did you receive? If your injuries have not fully healed, what does your healthcare provider say about your prognosis? In addition to physical discomfort, have you noticed any emotional changes such as anxiety or depression related to the accident? Have you already talked to any insurance adjusters? If so, what did you say? Was your statement recorded or written? Have you spoken to anyone else about the accident? If so, who did you talk to and what did you say? Was your statement recorded or written? You don’t need to postpone seeking legal representation until you’ve gathered all of these documents. However, if you can bring whatever paperwork you already have, this will allow the lawyer to more accurately assess the strength of your case. If the lawyer decides that your case is worth pursuing, he will outline some of the strengths and potential weakness he anticipates based on past experience with similar claims. Then, you’ll discuss payment arrangements for representation. In addition to the contract for services, you’ll also be asked to sign forms that allow the lawyer to obtain evidence to support your case. This includes a release to obtain your medical records and contact the insurance company on your behalf. Read everything carefully before signing, and ask questions about any points that are unclear. How will you communicate with me about the progress of my case? Will I be working directly with you or another member of your firm? Have You Been Injured Due To The Negligence Of Others? If you've been injured you need to speak with an experienced personal injury attorney as soon as possible. Please contact us online or call our Alexandria, Louisiana office directly at 318.541.8188 to schedule your free consultation. What reports can help build a strong car accident case? How do subrogation rights affect my personal injury claim?